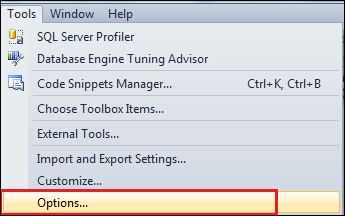 sp_helptext is widely used for checking object definition in SQL Server. sp_helptext can be used to check definition of various database objects like Views, Stored Procedures and User Defined Functions. OBJECT_DEFINITION(object_id) and sys.sql_modules returns results as a single-line when in “Results to Grid” (Ctrl + D) mode. 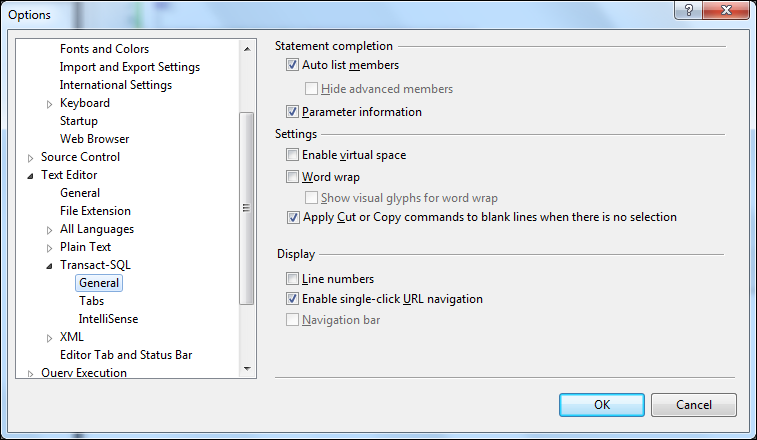 Switch to “Results to Text” (Ctrl + T) for formatted output which will include line breaks. 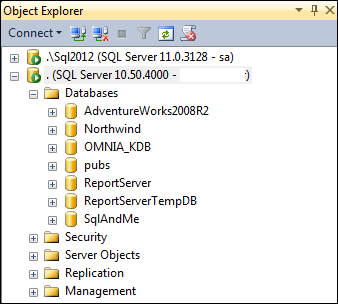 By default, SQL Server system objects are listed in Object Explorer in Management Studio. These system objects include system database, system tables/views/procedures and so on. 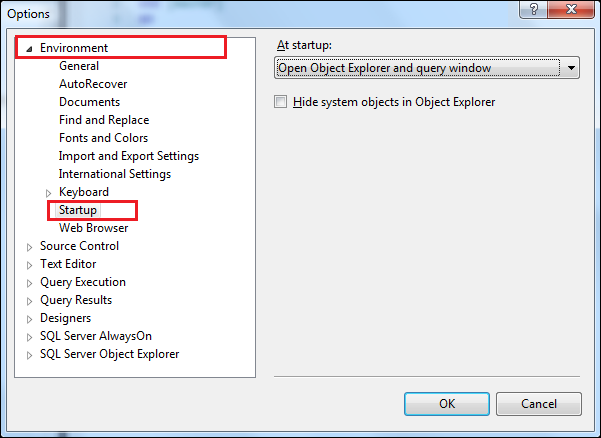 SQL Server Management Studio provides an option to hide these objects from Object Explorer to prevent *accidental* use. To enable this option follow below steps. 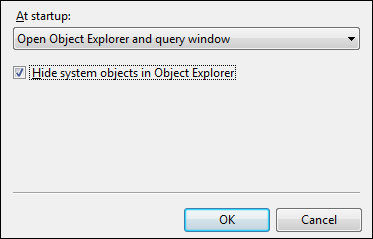 As you can see from above screenshot that System databases node is no longer available in Object Explorer. sys.tables only shows modify date for structural changes. If we need to check when was the tables last updated or accessed, we can use dynamic management view sys.dm_db_index_usage_stats. This DMV returns counts of different types of index operations and last time the operation was performed. It is important to note that sys.dm_db_index_usage_stats counters are reset when SQL Server service is restarted. 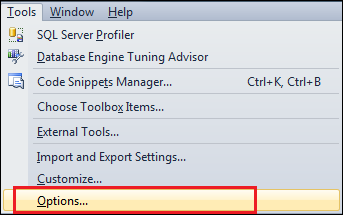 You can enable line numbers to be displayed in SSMS Query Editor. This is extremely useful when working on a large module. @@MAX_CONNECTIONS in SQL Server returns maximum number of simultaneous user connections allowed. Maximum user connections allowed by SQL Server by default is 32,767; this number also depends on application and server hardware limits. This cam also be configured at server-level to avoid too many connections. @@CONNECTIONS returns number of connection attempts (successful/failed) made to SQL Server since SQL Server is started. Since this include all attempts it can be greater than @@MAX_CONNECTIONS. As you can see from the example above number of connection attempts can be higher. A Recovery Model is property of a database which control how transaction log is maintained. SQL Server supports SIMPLE, FULL and BULK-LOGGED recovery models. There are multiple ways to check recovery model of a database in SQL Server. Using sys.databases catalog view is easier as it returns information of all databases on server. [UPDATE] Earlier query had an error in calculation, thanks to Carlos for pointing it out and Nate for providing the correct solution.